what you may one day be…. It’s a wonderfully mystical poem about silence and listening, and so I used more silence within the piece itself than you’d find in any dozen recent pieces of mine. (I’m kind of a nut about continuous flow – I resisted my instincts this time). It must also be one of Merton’s best-known poems, because my wife remembered the nuns teaching it at Marywood Academy in Grand Rapids fifty years ago. One of the tragedies of the Christian West is the fact that for all the good will of the missionaries and colonizers… they could not recognize that the races they conquered were essentially equal to themselves and in some ways superior…. No man can bear such sincerity. Was somewhat shocked to see “Fr. Louis'” smiling face when visiting your site this morning! 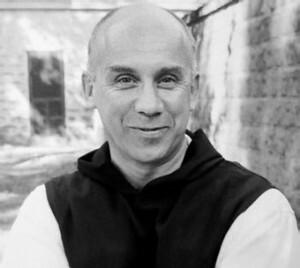 Thomas Merton’s poetry and other writings have been a source of stability and challenge for me for many years. Didn’t realize you and I had Merton as a common touchstone in some form, Kyle. Merton’s ability to cut through, confront, surface spiritual, religious and cultural prejudices is what makes much of his work perennially relevant, challenging in the best ways possible. Looking forward to hearing the flow of silences in this new work of yours. Thing is, of course, that this has been true of just about every conquering power in human history. That doesn’t make it right, of course, but it seems to be human nature. And it seems to be only in the past century or so that it has occurred to more than a very few people to think otherwise. Merton is one of my favorite mystical writers and he gives me hope that the tainted Catholic Church hasn’t been able to do for me, at least not in over 35 years. He is a critical thinker as well as a mystic and a poet. Excellent choice of text here. BTW, Wisdom of the Desert prompted me to seek out the complete collection of the desert fathers’ sayings. Two whole volumes, lol. Merton never fails to both fascinate and challenge.